The power of intelligent content becomes possible only when that intelligence is intentionally injected, most often in the form of structure and descriptive semantics. That intelligence helps machines do their automated magic. 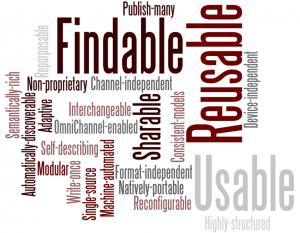 Most often, the needed structure and semantics are added by humans during content authoring. Content management, for both content development and delivery, generally becomes more powerful, flexible, and valuable with the growth of structure and semantics–but at the price of complexity and required skills for content creators. Structured content authoring tools have advanced, masking some of that complexity, but even so-called lightweight and tag-less authoring tools leave gaps for diverse content creators and contributors, making intelligent content component strategies for the enterprise an elusive proposition. Join us for this Stilo DITA Knowledge Series webinar as Mike Iantosca, IBM’s Structured Content Authoring Tools Lead, lays out a multi-tier strategy for addressing the needs of organizations with diverse authoring roles and skills, from professional content creators through casual contributors. Following Mike’s presentation, Stilo’s Patrick Baker will present the case for a guided + fluid authoring solution for SME’s and casual contributors and provide a demonstration of AuthorBridge, a new cloud XML authoring service which delivers all the advantages of free-form authoring (user-friendly, with little or no restrictions), while ensuring that rich semantic content is generated under the covers, capturing the author intent without any of the complexities of XML.